A scheme has been launched in the city to reintroduce historic styled street signs where appropriate, but certainly in the conservation areas. The council is hoping that local amenity groups will support the project. It is proposed that an approval panel is formed from the conservationist groups to advise on suitable and preferred signs. 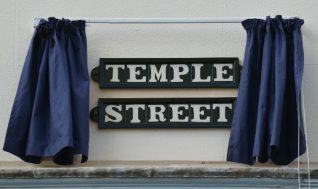 The launch of the scheme was marked by the placing of the first of these signs in Temple Street, which is off Western Road. 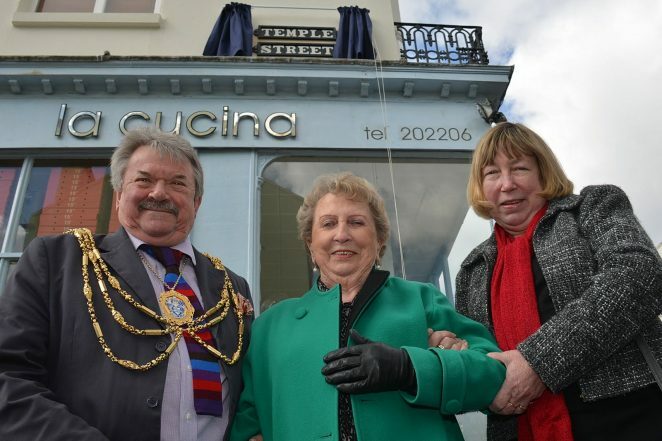 The Mayor of Brighton and Hove, Councillor Bill Randall officiated at the ceremony. He was joined by a long-time resident of Temple Street, 94 year old Mrs Enid Gray. Mrs Gray has lived in the street all her life; her family have been residents for 130 years. This is a fabulous scheme as the old style signs are really nice. There are of course some fabulous old style signs already around Brighton and not just in the centre of the town. If you walk along Lewes Road I do believe that the roads going up to Upper Lewes Road still have them. Does anyone know if these old signs are protected in any way?